There's no better place to hike on a beautiful day such today than the trails at the Marin Headlands. It was great to start along the Rodeo Beach and end there to soak my tired feet in the chilly waters and dig my toes in the gray, green and red pebbles while watching the birds and the surfers. I parked in front of the lagoon and crossed the Nature Bridge where I saw a bunch of birds, including plenty of colorful mallards. They always seemed to come in three (why 2 males and 1 female, I wondered). I then turned away from the beach to the path that ran along the 'DANGEROUS CLIFFS' sign to the trail marker. I ascended the narrow paths, patches of wild spring flowers were hard to ignore. When I reached the top of the hill, a beautiful view, the blue ocean and the bright sky above were other distractions from hiking. I hiked six miles nonetheless. 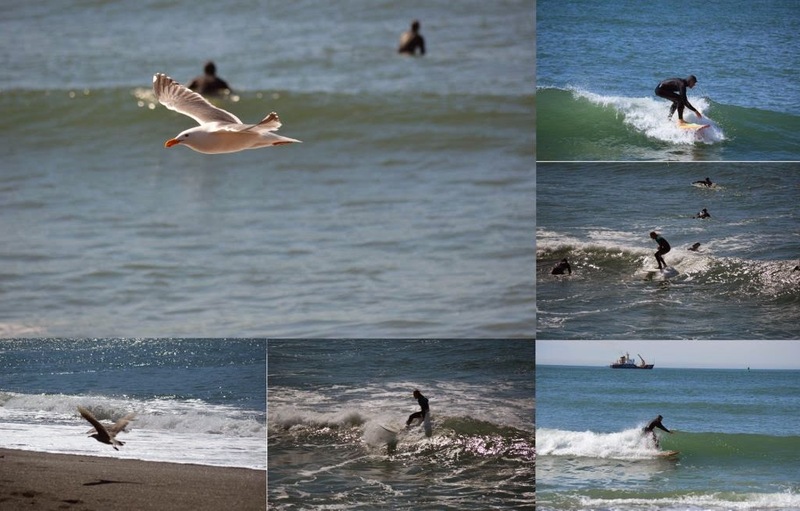 After hiking I went back to Rodeo Beach to watch the birds flying over the surfers as if, they were teaching the surfers how to surf. I then dug my tired toes into the multi-colored pebbles. Rodeo Beach is the real 'Pebble Beach'. 1. Here's what the sign says, " The coastal buffs called the Marin Headlands stand nearly 1,000 feet above the sea. The collision of two tectonic plates of the Earth's crust pushed the sea floor skyward to form a stunning landscape..."
2. All photos by the author.